"Cal" stands for its rich Californian origin, not Calories! (About 85% of all rice grown in California is Calrose.) While "rose" indicates its medium-grain shape. Calrose is highly sought after in Asia, where it was once considered exotic. Its soft grains stick together and absorb flavors real well when cooked, making it an ideal key ingredient for Mediterranean and Asian cuisine such as risotto, paella and sushi. 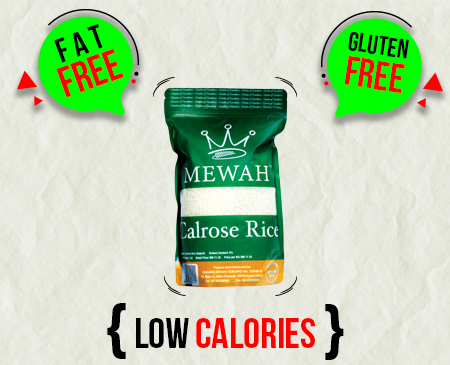 It's also a good all-purpose table rice altogether that goes well with versatile dishes!